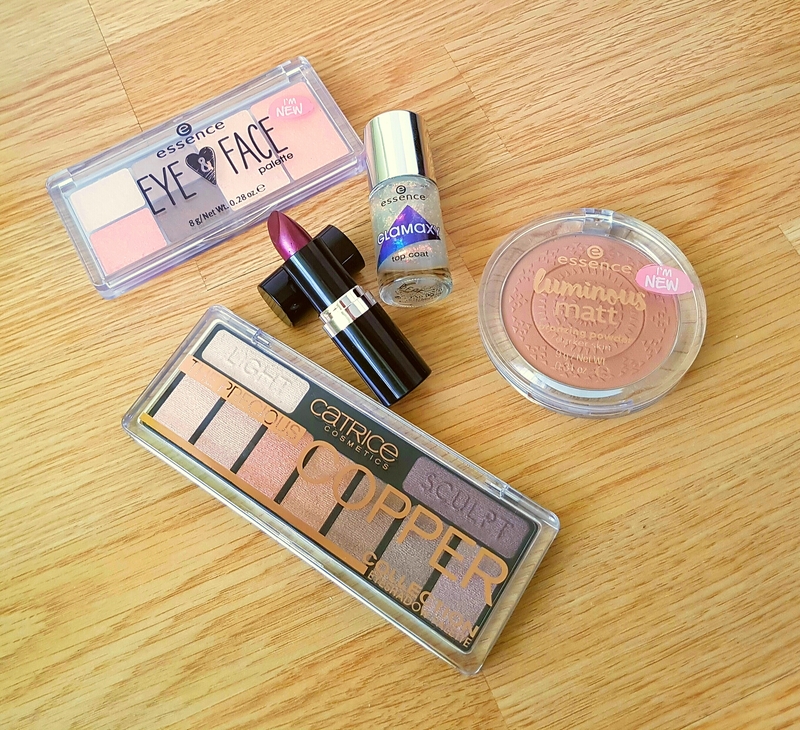 A few new products from Essence and Catrice with swatches and first impression. Essence and Catrice have released so many products lately that I've been wanting to pick up but just haven't gotten the chance. Last weekend, I finally got a chance to take a quick peek and managed to pick up a few things. Catrice released 4 eye shadow palettes and as soon as I saw pictures of the Precious Copper Collection palette, I knew that I wanted to check it out. I swatched it at the store and loved the swatches. The palette is full of shades I tend to gravitate towards - coppery brown, metallic shades. I haven't gotten a chance to actually use the palette, I've just been swatching it and the shadows feel soft, applied well with my fingers and appear to to be nicely pigmented. I really can't wait to use this palette! The other palette is the eye & face palette from essence which consists of 4 eye shadows, 1 blush and 1 highlighter. To be honest, the whole reason I was after this palette is for the peach eye shadow. From swatches online, I saw that it was an irridescent shadow that's peach and gold depending on where the light hits. The eye shadows are soft with decent pigmentation. 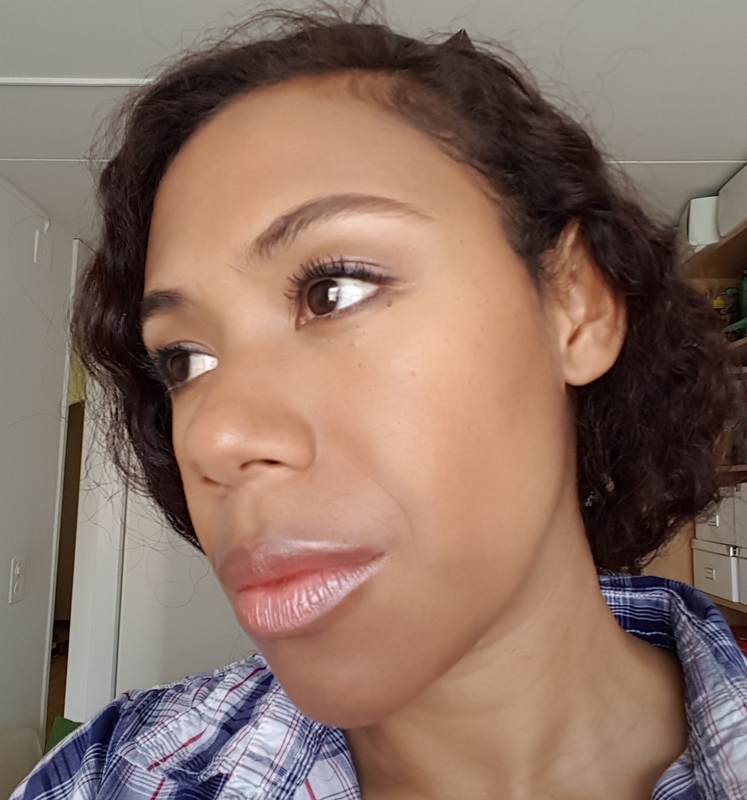 On my skin tone, the blush is more like a highlight and I have to use the highlight with a light hand otherwise it leans too frosty. I love powders with a sheen as I'm not a fan of the too matte look so when I saw that essence was releasing their luminous matt bronzers, I had to pick one up. They come in 2 shades, one for light skin tones and one for dark skin tones. The outer circle is matt and the inner circle has a sheen and the shades, when blended together, are supposed to create a sun-kissed look. When I used this, there was no glitter whatsoever so yay! I just got a really soft sheen and I really liked it. In the picture below, I have the bronzer all over my face as a powder since it's close to my overall skin tone. essence has a range of lipsticks out called the metal shock lipstick. I picked up number 05 purple pistol. It's a deep, dark burgandy purple that can lean deep brown/maroon in different light. The lipstick is creamy and applies smoothly and you have to be careful that it doesn't bleed outside of the lipline. I think it's such a gorgeous shade and I love how it works with my skin tone. Last but not the least is the Glamaxy top coat from essence. I haven't tried this but I've seen pictures online and I knew I had to pick it up. I love easy "nail art" like this where you can just put a top coat on any nail polish and you've got a great nail look. Looking forward to trying it out. So far, I really am enjoying these products and I'm definitely picking up more as soon as I get the chance. Have you guys picked up any of the new products from essence or Catrice? Let me know if you have any recommendations and don't hesitate to let us know if you have any questions about any of these products.